The Duchess of Cambridge is on her first official tour and Canada is the lucky first country to see her in action – for a whole nine days. Many people will be watching every one of the forty or so outfits she will be wearing while there. What a fabulous lace dress in the second photo! 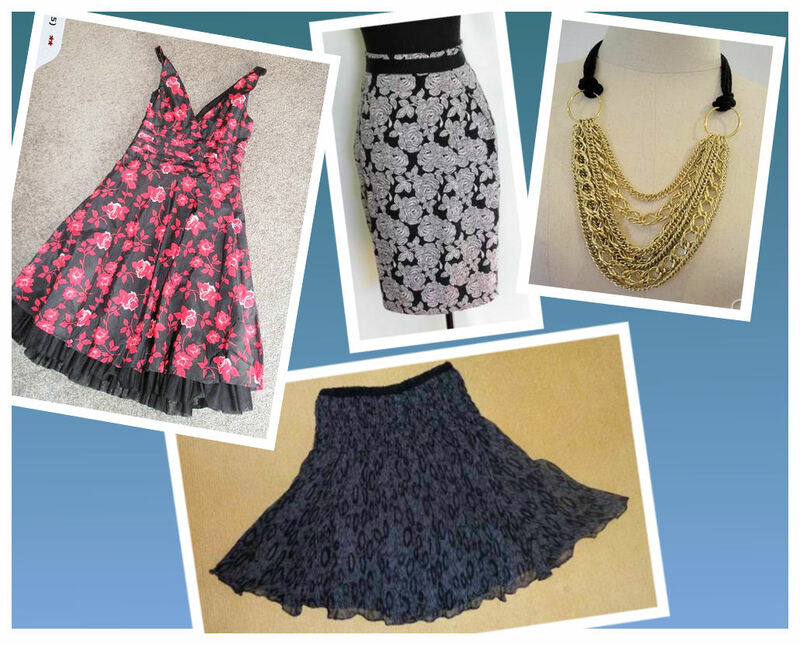 I went searching on Trademe for a navy lace dress and found a great one so don’t fight over it. It is size 10 and you will find it here. So you have paid for the garment and it has arrived. You eagerly open the parcel and there is your beautiful garment that you so coveted when you saw it up for auction on Trademe. But what is this? A stain? A rip? It looks 100 years old. Or the colour is completely different. What you do depends on how serious the issue is. 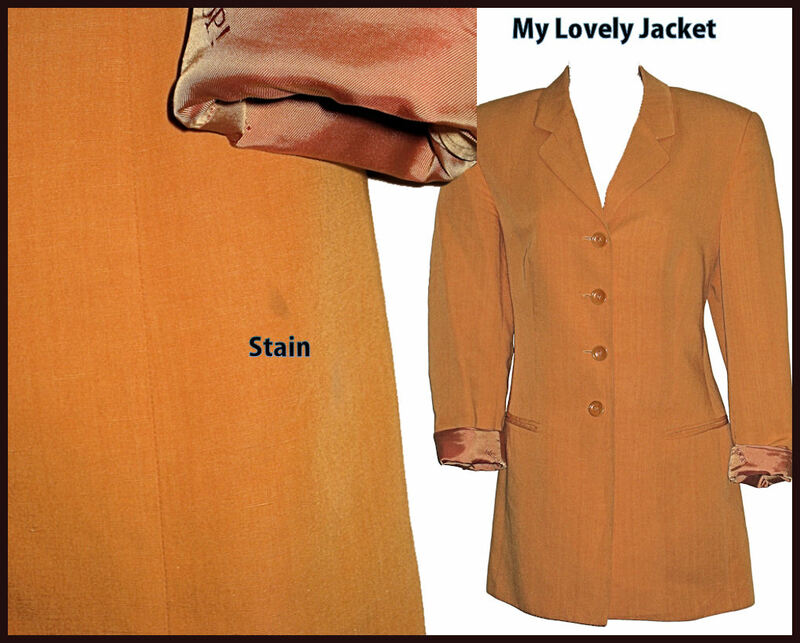 I found a great looking blazer on Trademe – the buttery orange colour was just perfect – but when it came, it had more than one stain on it. I had it drycleaned but there was no budging those marks. In the photo, you can see one of the marks. There were four – three tiny and the one in the photo which was larger but fairly faint. I would have been quite justified in contacting the trader and asking for my money back but I knew it would be a long time before I found another jacket in this colour and so I kept it and I wear it. No one notices the marks and I have checked with friends to see if they have spotted them and no one has. 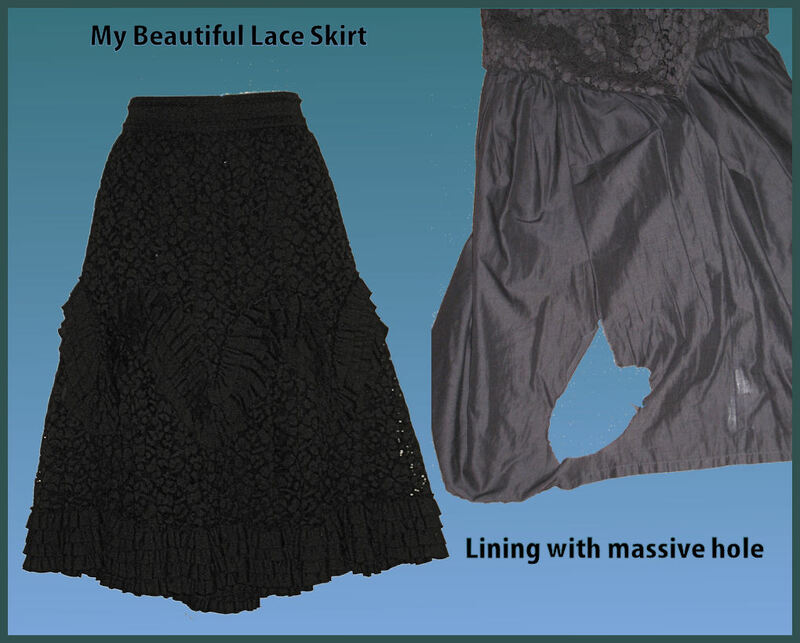 Another garment I bought was a black lace skirt which looked completely new when I received it but when I put it on, I discovered a large hole in the lining. Very strange and of course the trader would have known about it – it was too big to miss. But once again I love the skirt and it goes with many of my multiple jackets, so I wear another black petticoat underneath to counter the hole and I wear it often. In both these cases, I gave the smiley face as feedback but mentioned the problem in the text so they know that I know, but their rating is not affected. I almost never give bad feedback. It is better to try to resolve the problem with the trader before doing anything so serious as giving bad feedback. There is always the chance they will retaliate with equally bad feedback and that will mar your good record. In my experience people will usually enter into a dialogue about the problem and try to reach a solution with you though I have heard some horror stories. Bad feedback is your main recourse but you could take them to the small claims court if you wish to get your money back and they are refusing to do so. I have returned garments maybe two or three times out of many, many purchases and each time the money has been refunded so I am still to have a really bad experience. But there is always that first time. I have just watched the tape I made of the NZ Top Model episode on Friday and some personalities are finally starting to show. Not always in a good way either. Tyne and Holly squabbled over who should be who’s friend – very schoolyardish. Izzy kept everyone entertained with her bubbly personality but lost sight of the competition and came in the bottom two for her lack of motivation. The shoot was one where the girls had to show their seductive side and Izzy came up short. But these girls are very young and expecting them to display their feminine wiles is perhaps a little too much – hence the giggles and embarrassment. Asher-Jayne or AJ as she’s known is playing the part of the class clown but she is aware this could cost her if she doesn’t focus. The judges say she appears vacant but I’m not so sure. She is playing the part that is expected of her. Many people get lured into that trap. Aroha, the plus-sized model (in other words, she is the same size as the average person in the street), shone at the runway show and won herself $1,000 worth of clothes from Glassons and the use of a car for a year. And now we come to the model who came out on top and the one who lost her chance to become NZ’s top model. Bianca is the awkward girl (there’s always one) who manages to put aside all her quirkiness to stand with the best of them when the cameras come out. This week she took the best photo. And the girl who is “no longer in the ruuning to become NZ’s top model” is: Glasson’s own people’s choice – Holly Reid. After a great first week, the judges decided that the public didn’t know what they were doing and eliminated the only girl they hadn’t chosen themselves to be in the finals – just saying. These dresses remind me of ice sculptures. Hours of work on the cheapest of materials to create beautiful art that lasts but a short time. If your budget is tight right now, Dotti has a wide selection of on trend clothes as well as bags and shoes, all for under $100. Check these outfits out. Orange is starting to show up in the collections overseas so I went looking for it here in the shops and on Trademe. I thought I’d check what the Duchess of Cambridge has been wearing since her wedding and I am impressed at the simple elegance of her wardrobe. I taped NZ Top Model last night and just watched it. This is always a favourite episode – the makeover. Of course, there were tears – Tyne Aitken’s – but mostly the girls were enthusiastic about the chance to be transformed from girls to potential models. For some, the change was minor, for others massive. Hilary went from bleached blonde to very dark and super short. Yanna went from long brown hair to short almost black. Tyne went from long, straight, nondescript hair to short and stylish but she wasn’t so sure – hence the tears. Isabel had part of her head shaved and loved it. The photo shoot was an advertisement for Temptation icecream and, while some girls shone, others faltered and lack-lustre photos resulted with no personality shining through. And Now, the shock elimination. She was strong last week and, for me, a front runner but one bad photo and she is gone. I think she was as shocked as I was. She was the oldest model at 23 and hopefully that didn’t go against her. She is an exotic beauty and I would have liked to see more of her.